Map out a new experience. Alot can happen around a campfire. For us, that’s how all this started—a challenge among friends, an ugly dog named Ruger and the desire to make something great. With that in mind and a lot of hard work, we started creating award-winning, handcrafted spirits. Every adventure starts somewhere, make sure yours includes an Ugly Dog at your side. Every batch of our signature product is handcrafted with Michigan Winter Wheat. To ensure the highest quality possible, batches are triple-distilled and continuously taste-tested. Perfect for fireside sipping or crafting adventurous cocktails. We hunted down this centuries-old recipe of juniper berries, coriander, licorice root, bitter orange peel and numerous other botanicals. To create this complex, yet balanced gin the ingredients are steeped in 190 proof spirits and slowly distilled. Ideal for crafting full-flavor martinis, aromatic gin and tonics or just sipping slowly on the rocks. Our Bacon Flavored Vodka is like man’s best friend—only for Bloody Marys. 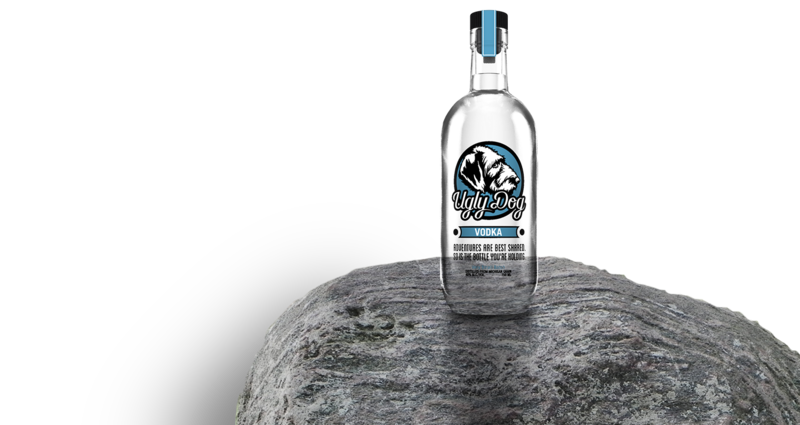 Created in 2012, we were the first distillery to offer this delicious and savory, flavored vodka. Taste it for yourself and see why it has become one of our most popular spirits. Unleash a truly unique flavor. Our Raspberry Flavored Vodka features a crisp, and floral taste with just a hint of sweetness. It’s perfect for shaking up a Raspberry Martini or creating new, fruity summer cocktails. In their own way, pirates were explorers—and in the 1800s a few of them even sailed the Great Lakes. 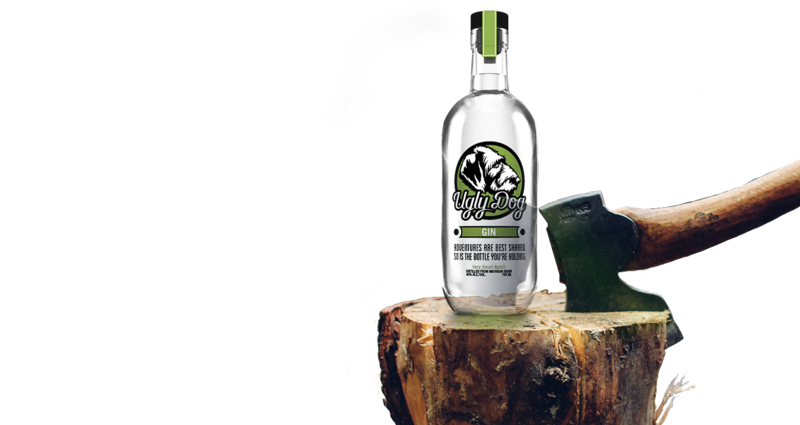 As a tribute to their sense of adventure, we crafted this light, full-flavored Rum from 100% sugar cane. Mix with your favorite soda or punch and let the good times sail. Great care goes into everything we do. That’s why we handcraft everything from our spirits to our copper stills, which our founders hand hammered and welded themselves. This means our batches are very small and our quality is premium. To ensure this quality and consistency, we are committed to supporting our local economy by using the finest raw materials Michigan has to offer. 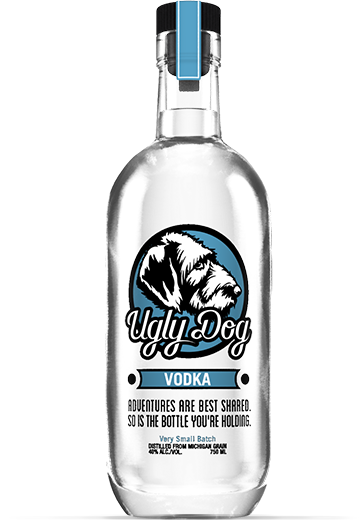 We are proud our Ugly Dog Vodka is made with Michigan Winter Wheat. Every bottle we handcraft is adorned with Ruger, our purebred German Wirehaired Pointer, the whimsical inspiration behind our name. 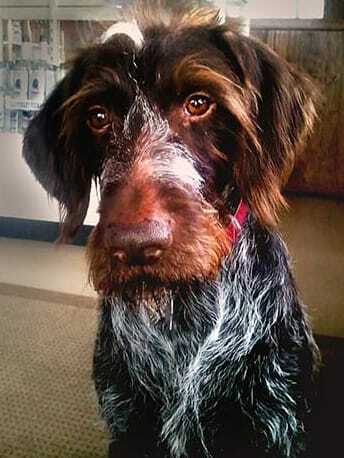 Just like our products, Ruger has some very distinct features and characteristics. He might even be where we get our love for the outdoors and adventure. Drop this hashtag on your Instagram photos whenever you enjoy an Ugly Dog drink, and we’ll show our favorites here!